NEW YORK -- The Federal Communications Commission says a Hawaii employee who mistakenly sent an alert warning of a ballistic missile thought an actual attack was imminent. The FCC said Tuesday that Hawaii has been testing alert capabilities, and the employee mistook a drill for a real warning about a missile threat. He responded by sending the alert without sign-off from a supervisor. The name of the worker hasn't been released. He still works at Hawaii Emergency Management Agency but has been reassigned to a job without access to the warning system. 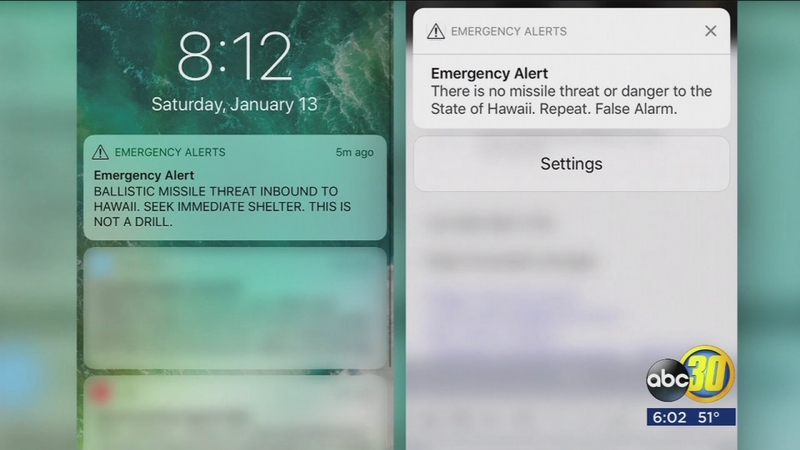 The alert was sent to cellphones, TV and radio stations in Hawaii, leading people to fear the state was under nuclear attack. It took 38 minutes for officials to send an alert retracting the warning. The emergency management agency provided the FCC with information from a written statement from the officer.